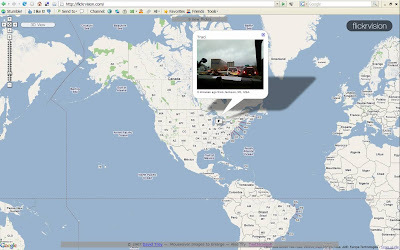 Flickrvision shows a world map which then moves and shows photos (and the location of the uploader) as photos are uploaded in real time. 2 different views (Classic map and 3D globe) are available and if nothing else it's therapeutic to watch! 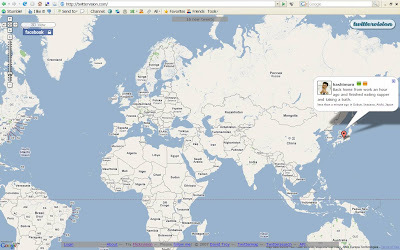 Similar to Flickrvision, Twittervision plots Twitter updates on a world map in realtime. Unsure what maps program to use? 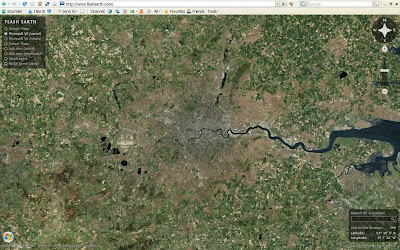 FlashEarth lets you choose the best solution by easily enabling you to flick between Google Earth, Microsoft VE, Yahoo Maps, Ask.com, OpenLayers and Nasa Terra maps. Mashups will continue to gain popularity as they bring together benefits of multiple applications in one place. Well thought out mashups could be useful additions to content providers and advertisers alike, and with the opening of APIs (through projects like OpenSocial) 2008 should see new, high profile mashups in all sorts of places!